Emma specialises in working with entrepreneurial business owners. She writes business plans, provides strategic advice and budgets to direct business growth in a tax efficient way. 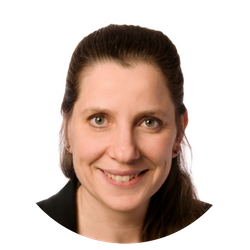 Emma is a Chartered Tax Adviser as well as a Fellow of the Chartered Institute of Management Accountants and certified CIMA Member in Practice. Her mission is to help business owners to make more money from their business. After a short stint in working in an accounting practice, Emma has worked within businesses as their internal accountant, financial controller and finance director before setting up the Enterprise team in 2011. She has set up companies overseas and is skilled in ensuring the appropriate systems and controls are in place for strong global company growth. Emma is a Chartered Tax Adviser as well as a Fellow of the Chartered Institute of Management Accountants and certified CIMA Member in Practice. She enjoys both the commercial and tax planning aspects of her role. Although Emma enjoys ‘doing the numbers’ she particularly enjoys the range of incredible people she has the privilege to meet and work with in her role.